The host Sho was a wonderful host. He looked after us very well (arriving and departing). The location for the 100 City Bus is amazing and we were able to get around the city no problem. The apartment is very comfortable and we enjoyed eating food that wasn’t from a restaurant. There was a grocery store nearby. The decorations are really cool as well. Fully stocked pantry with stove. Drinks, bread, instant ramen, etc. Lawson’s nearby so easy shopping. Host is so gracious! Highly recommend! From the start, our stay was great. The place was ready for us even before our official check-in time and the owner was there waiting for us. Check in was simple and informative. They reimbursed us for our parking, which was right around the corner from the apartment. The atmosphere of this apartment is amazing. Every aspect of the decor adds to the Japanese Edo-period feeling. They left us free snacks, noodles, breakfast, bottled water, beer, wine and whiskey. There's a super cool cedar bath tub and shower room. We tried out the kimonos that were available, which was fun. We felt relaxed and comfortable here. The apartment is fairly close to the Philosopher's Way and Ginkaku-ji (Silver Pavilion), with a bus stop just down the street. All-in-all, a wonderful experience! We highly recommend Kabuki Ann! The host was extremely nice and helpful. Very close to bus stops, supermarket & convenience store. We all loved the interior setting, especially the bedroom ambiance. And there were lots of decorations to admire... Highly recommended! The apartment owner, Sho and his son were waiting to meet us and hand over the keys. They showed us over the apartment and gave us lots of information about the area - they couldn't have been more helpful. Although slightly out of the centre area, the buses were frequent and Sho provided free bus passes for every day we were there. There were complimentary drinks, fruit and breakfast provisions in the fridge as well as rice, noodles and cooking equipment. With a good supermarket just across the road, we ended up having a lovely meal in for a couple of nights running. It's a beautiful, well equipped, traditionally decorated apartment and we didn't want to leave. Thank you Sho! Sho was a very gracious host and full of help and suggestions. Accommodations were good. The bus passes, breakfast vouchers and well stocked fridge were all great bonuses. We would certainly stay there again. The owner is very nice and generous. Location is at the bus stop so easy to get around. Everything was great. Sho is very nice and efficient. We loved to stay in Kabuki inn! Sho the host is really nice and friendly. The flat is ready for you to step and live in. The bus stop close the flat (50 m) is great to travel to all part of Kyoto. Some small but really typical restaurant around, and convenience store are close to. Sleeping on a futon is great, and provide a feeling of "local experience"
Lock in a great price for Kabuki Ann – rated 9.6 by recent guests! Kabuki Ann This rating is a reflection of how the property compares to the industry standard when it comes to price, facilities and services available. It's based on a self-evaluation by the property. Use this rating to help choose your stay! One of our best sellers in Kyoto! Offering free WiFi access, this holiday home is located in a residential area just a 15-minute walk from Jingumarutamachi Train Station. Guests can enjoy staying in a home featuring Edo era-inspired décor. The accommodations is air conditioned and comes with a bedroom with 6 futon mats. The living room area is equipped with a flat-screen TV and a seating area with a sofa. The private bathroom has a bath, a shower and free toiletries. A microwave and a refrigerator can be found in the kitchenette. A washing machine is also available for guests’ convenience. If you feel like visiting the surroundings, check out Kiyomizu Temple located a 10-minute taxi ride away or Heian Shrine located just a 7-minute walk away. This holiday home is a 40-minute bus ride from JR Kyoto Station and a 2-hour and 30-minute bus ride from Kansai International Airport. Sakyo Ward is a great choice for travelers interested in scenery, culture and temples. When would you like to stay at Kabuki Ann? Public parking is available at a location nearby (reservation is not needed) and costs JPY 1000 per day. Area Info – This neighborhood is a great choice for travelers interested in scenery, culture and temples – Check location Excellent location – show map Guests loved walking around the neighborhood! House Rules Kabuki Ann takes special requests – add in the next step! This vacation home does not accommodate children. Kabuki Ann accepts these cards and reserves the right to temporarily hold an amount prior to arrival. Guests arriving after check-in hours (18:00) must inform the property in advance. Contact details can be found on the booking confirmation. If the property is not informed, the booking may be treated as a no show. The reception is not staffed between 12:00 and 16:00, and check in is not available during this time. Please note this property cannot accommodate a booking by 1 staying guest. Please inform Kabuki Ann of your expected arrival time in advance. You can use the Special Requests box when booking, or contact the property directly using the contact details in your confirmation. It was a bit dark in the house. The place is better for light travellers. Need to take bus to arrive there. However , the owner is very nice and the place is very good. I’d say worth the trip. The place is beautiful. The kimono is a big plus. Very good experience. 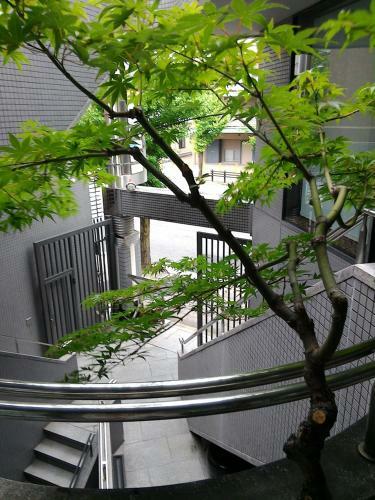 Modern apartment located northeast of the busy area’s of Kyoto. Beautifully decorated and extremely well stocked with utilities I didn’t expect (rain jackets, maps, water etc. etc.). Perfect for 2 to 4 travelers. We were 2 so me and my daughter slept in the Samurai room. 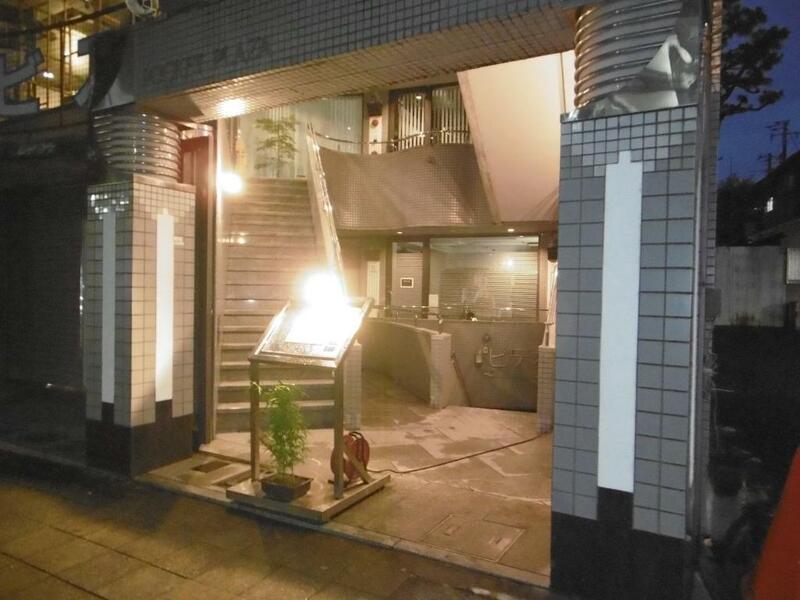 Located 15 minute walk from the train station Jingu-muratamachi, but only 1 minute from bus stop bus #100. Host was very helpful, attentive and oh so kind! Japanese service and hospitality ichi-ban! Sho the apartment host was extremely welcoming and did everything he could to make us feel at home. The apartment was very spacious and well designed with distinctly Japanese themed rooms with 2 separate sleeping areas and a separate living room. 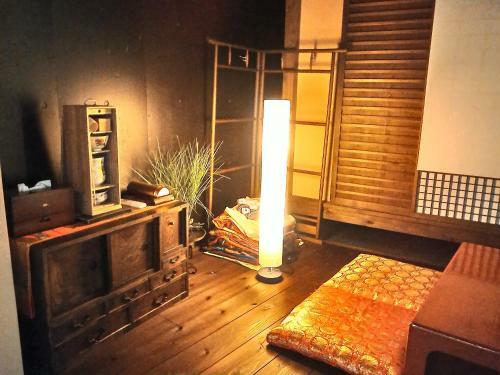 The Futons, Samurai swords, Japanese ornaments and Kimono's were a nice touch and made great photos. Sho was extremely generous and provided us with a full pantry and snacks over our stay and also daily bus passes to use at the bus stop located within 50m walking distance. This bus stop was great as it was on the 'Raku' 100 tourist line which also connects with the Raku 101 and 102 buses which pretty much cover all the major tourist attractions around town. Very warm welcome from the Host, large Space, samurai ambiance for the room, kimonos for photos, food and drinks available... And music and DVD as well ! Close to famous sites ! You could sometimes hear noise from the road, however it was very faint and was not a bother to us at all. Very traditional stay. Host was extremely helpful in all regards. Would recommend to anyone, even if just for a day or two to get the full Japanese experience. The property is self contained apartment beautifully decorated in an exquisite Japanese style. The apartment has every possible convenience that you need from washer dryer to spare toothbrushes. It is perfectly located close to many temples, the philosophers walkway and only 25 mins walk to Gion , Pontocho and major markets. The owner is so helpful and attentive. It was just perfect and we couldn't recommend it more highly. We would definitely choose to stay here on our next visit to Kyoto. Some of the rooms were rather dim but I think it was all part of the atmosphere of the place. In particular, the bathroom sink area and the toilet could have had better lighting. Host was very warm, friendly, and very inviting upon arrival. The name display with the USA flag was a very nice touch out front of the building making it easy to locate.The Japanese style décor was very authentic and made the place feel like home. Many extras the host included in the fridge as well as the counter for light snacks, fruit, and drinks. Convenience store right up the street was nice to grab anything else. Super friendly staff, the apartment is wonderful, everything is top. Sho, the owner, gave us lot of complimentary food, beverages and bus tickets for all our stay. He gifted us with a deluxe Japanese tea set also. Never had a such wonderful experience as in Kabuki Ann.